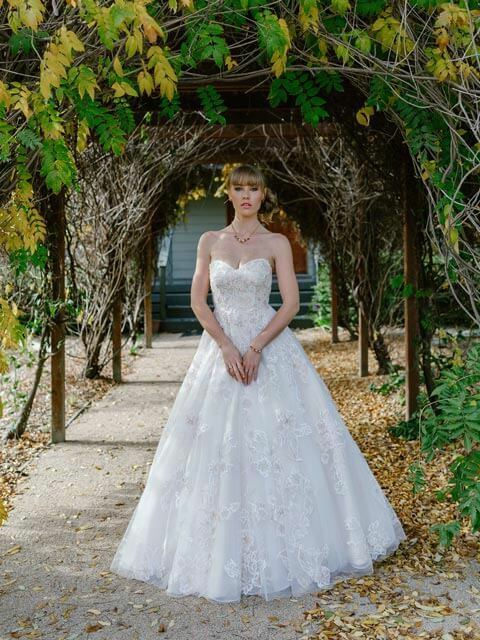 Affordable bridal Gowns in Melbourne of all description be it mermaid style ballroom or fit and flare Leah S designs have them all. 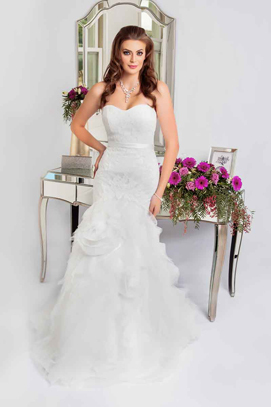 One of Melbourne’s most extensive range of all things bridal . They say your bridal gown is the most important item of clothing you will ever buy. Or for that matter wear in your entire life. Off the rack ready-made gowns. Only have 2 weeks until your marriage. No worries we carry stock so you can buy off the rack. Our talented alterations department are happy to assist. Making sure that your attire fits perfectly. 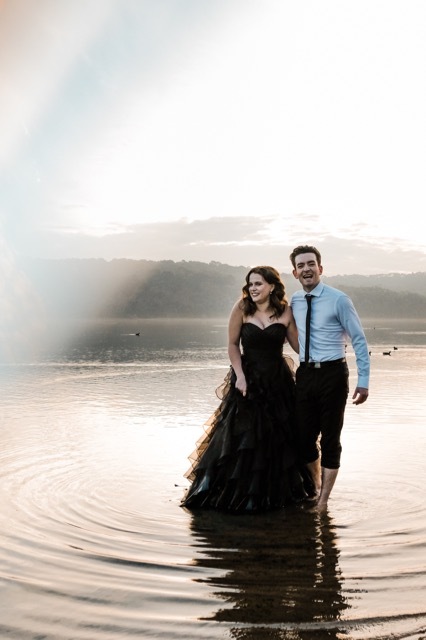 We believe you shouldn’t have to travel far and wide and spend a fortune to find the perfect gown. 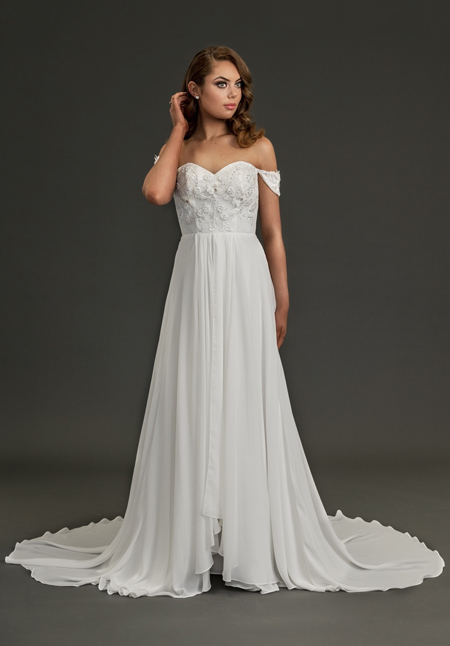 So if you’re looking for one of the best wedding dress shops in Melbourne. There is a certain sense of self-possession that comes with owning a creative and thoughtfully constructed garment. Its like wearing a work of art. Come and visit Leah S Designs and buy directly from the designers and manufacturers. 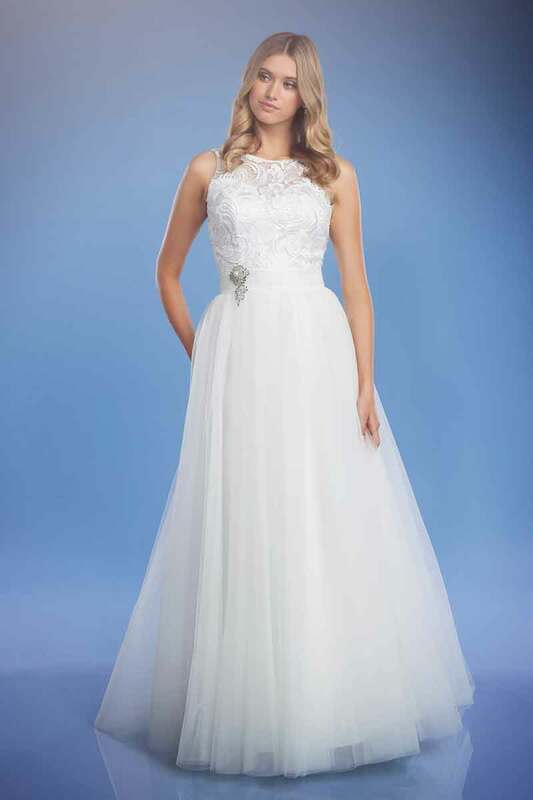 You will not only be purchasing a quality gown but also saving heaps. 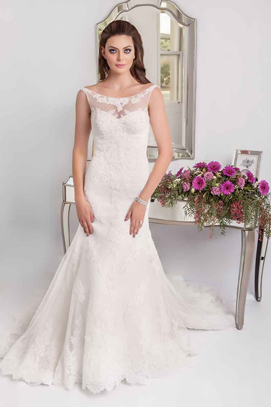 Our dresses feature exquisite bridal laces and high quality satin. 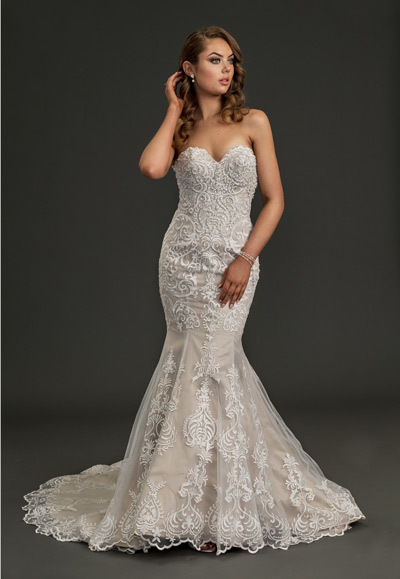 Sculptured into sensational wedding gowns to flatter any woman’s figure. 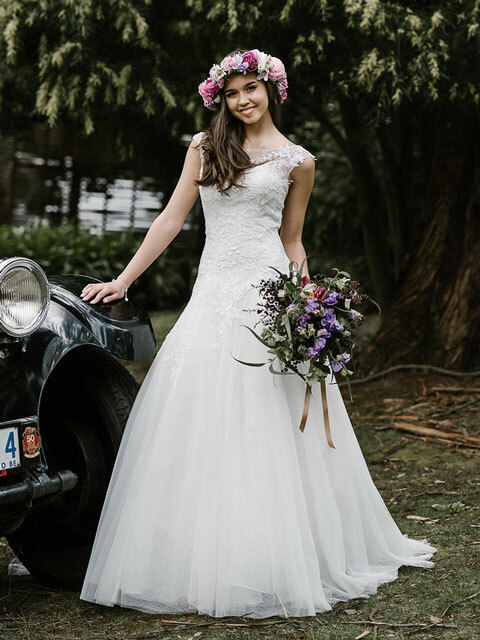 Trusted bridal shop with all stye wedding dresses in Melbourne. 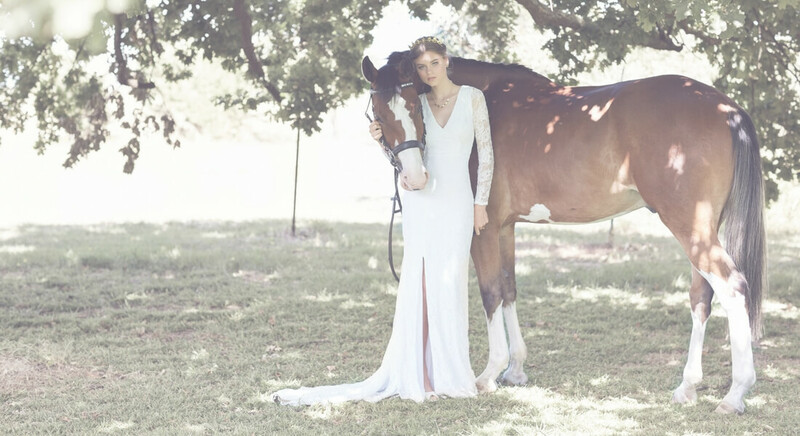 Leah S Designs is one of the most trusted bridal shops in Melbourne. Check out what other brides think of us on face book. 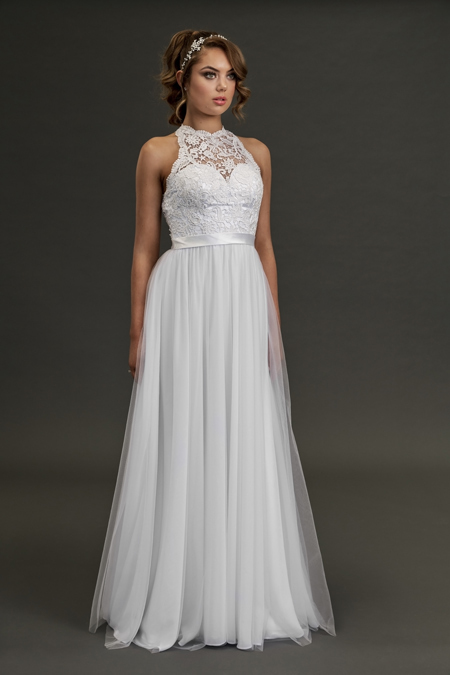 We aim to help make your shopping for a dress of your dreams easier with our selection of elegant yet affordable gowns. Bridal gown accessories and jewellery. Stylists are on hand to help you complete your bridal look. There are Fabulous white and ivory shoes with matching purses. Every wedding shoe heel height from skyscraper heals to comfy ballet flats. Also, stunning wedding Jewellery necklaces and earrings. Maybe even a custom-made ring cushion or bridal dilly bag to match. Possibly you might like to visit our studio and view a range of luxurious veils that will take your breath away. Crafted from the finest English tulle made and designed in Melbourne. 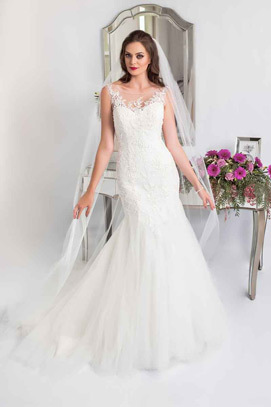 Plus size wedding dresses in Melbourne. Leah S. Designs also has the Plus Size perfection bridal. A plus size range with over 50 different styles to choose from. We have many more styles that are not depicted in these web pages too. As different stock is coming and going each day. You are welcome to come in store and check out what exciting styles we have today.